This 14 piece set is durable and strong, with swivel jaw pads combined with a reinforced nylon construction with anti-slip handles. 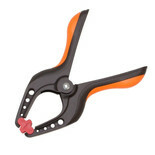 Heavy Duty Nylon Hand Clamp with Super Strong High Tensile Spring Mechanism. 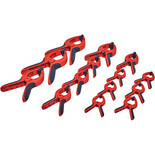 These spring clamps are great for hobby/craft applications or projects. 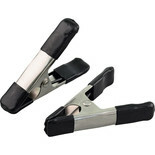 They work fast, have a firm positive grip and can hold odd shaped work pieces. 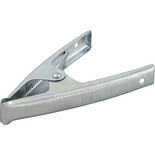 Super strong metal spring clamp with high tensile spring mechanism. 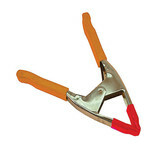 This metal clamp is for general purpose applications and is used to hold objects tightly and securely in position as you work.